BC was named the 2007 Best Golf Destination in North America by the International Association of Golf Tour Operators. Our Golf Courses have been designed by internationally renowned architects such as Arnold Palmer, Jack Nicklaus and Les Furber. In addition to superb greens we have the natural backdrop of British Columbia with its extremely diverse scenery. There are golf courses in all parts of the province from Coastal BC with ocean views to Northern BC with late tee off times taking advantage of the long summer days. 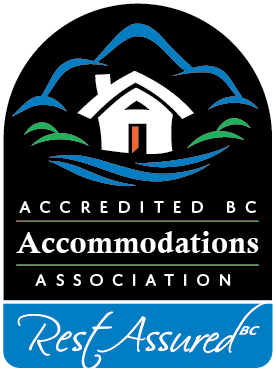 Accredited BC Accommodations has members in many parts of our province – stay with us on your golfing holiday. The Saanich Peninsula is home to two fine golf courses, both an easy 5-10 minute drive from downtown Sidney. Ardmore Golf Course, a 9-Hole course and Glen Meadows Golf and Country Club is an 18-hole course. Both welcoming members and non-members alike. FORE!!! Or should we say more? 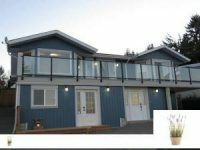 If you are looking to enjoy many of the finest golf courses on Vancouver Island you can do so easily using Abbeymoore Manor as your base. We call it BB&G! Bear Mountain - Canada's only 36 holes of Nicklaus Design golf. Olympic View - rated in the Top 20 best Golf Experiences in the Pacific Northwest. Cadboro Bay - 18 & 9 holes courses in beautiful Caboro Bay. Victoria Golf Club - A private course with spectacular ocean front holes. These course's are all nearby. 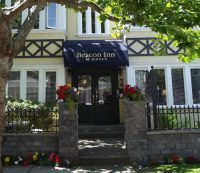 The Sunflower Inn B&B can be your home base while you golf within a 2 hr. radius of us. Christina Lake hosts the Christina Lake Golf Course and the Cascade Par 3. Redstone in Rossland, and the Castlegar course are 45 minutes away; Birchbank between Castlegar and Trail is 55 minutes away. Further east, there is Granite Pointe in Nelson and the Balfour Golf Course at Balfour and take the ferry to Kokanee Springs. Rock Creek has a course west of us and there are some in Osoyoos. A golfer paradise!